Professional Lighting Supply and Upgrades you can rely on. Throughout their 50 years in business, BC Lease-Lite has continued to concentrate on replacement and/or upgrade lighting by outright purchase or convenient Lease/Maintenance program. They also perform lighting audits with BC Hydro Power Smart for installation of retrofits in strata, commercial and institutional settings. BC Lease-Lite’s trusted name in quality and integrity keeps customers returning for the service and wholesale value they offer. 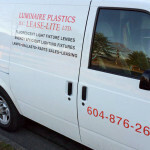 Luminaire Plastics specialize in replacement plastic light lenses and covers. Whether they be simple flat lenses, standard wrap-style lenses or elaborate custom designer styles, Luminaire Plastics are able to supply each customer with a quality plastic lens that meets their needs. They stock a variety of the more popular wrap lens styles and are able to provide any other styles as needed. They also stock the industry standard K-12 Prismatic lenses material, lighting white, and various others. 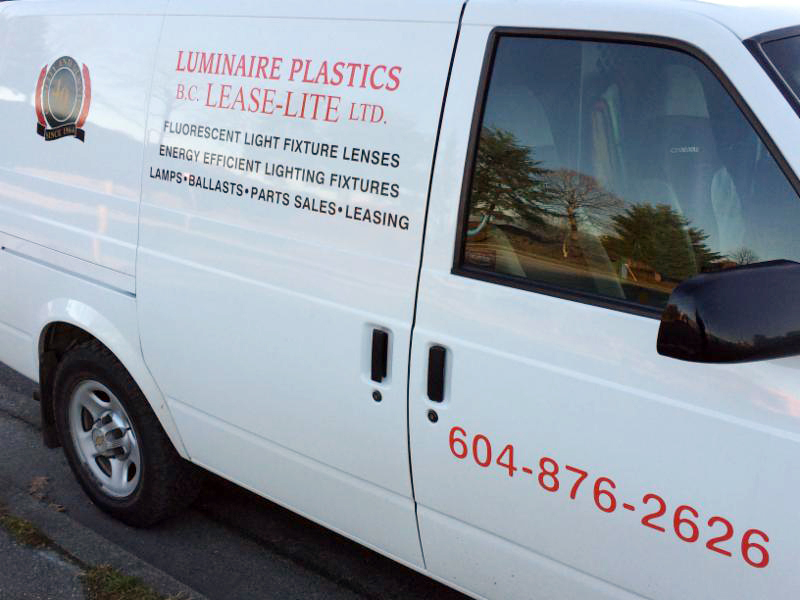 Luminaire Plastics also carries several types of lamps, ballasts, parts, lenses, energy efficient products and more. Visit their web-site for quotes or more information. 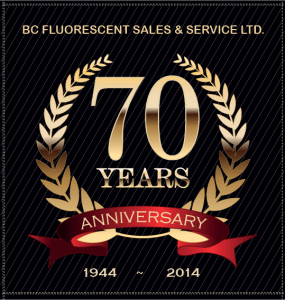 Alberta Fluorescent Sales and Services Ltd.
Also incorporated in 1944 Alberta Fluorescent is a full service lighting company located in Calgary, Alberta. They maintain and retrofit lighting systems plus other services under contract or on-call. With fully qualified service people Alberta Fluorescent can service any type of interior or exterior lighting-large or small, between Red Deer and the U.S. border. All hours emergency services are also available.